System partition - Which contains the 2 boot files Bootmgr and BCD. Boot partition - Where all Windows files are located, including Windows folder, User folder and Program folder etc. One physical partition can play a role of System and Boot together. But what more common seen is, a separate System partition which is 100MB-200MB around in size lays on left hand side of a boot partition. 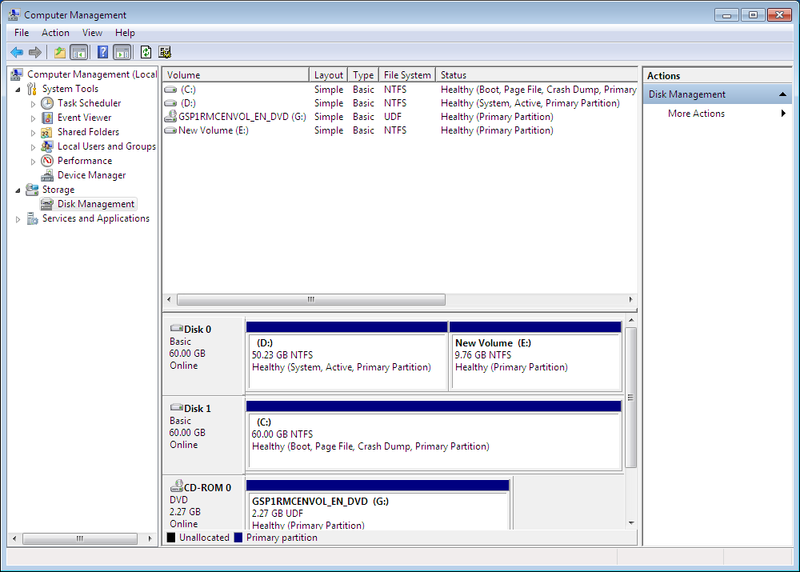 Or for a multiple OS configuration, even an individual System partition on another physical hard drive is possible. Like the picture below. Drive D is the system partition, while Drive C is the boot partition. In this case, Disk 0 and 1 are both required to be connected for a normal Windows loading process. This might be inconvenient when Disk 0 needs to be used for a different purpose or intends to be disconnected. Combining System and Boot partitions, or considered as moving System partition to disk 1, is an efficient solution to free Disk 0 in this case. This article tells how to achieve that with 3 simple steps. 1. The following steps require certain computer knowledge to be finished, any mis-operation would possibly result in system failure. So please make sure every step is made exactly as this article guides. 2. Only if system and boot partitions are on a basic drive, this method works. For a GPT system hard drive, EFI system partition and boot partition cannot be combined. 1. 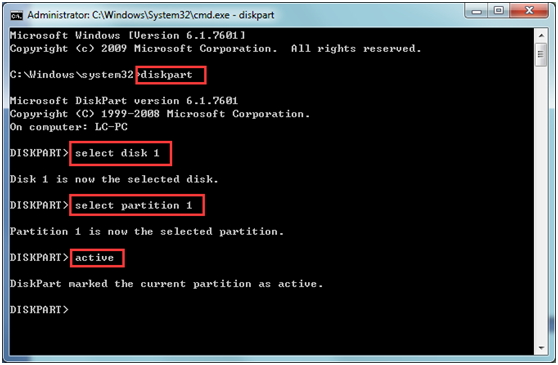 Create new boot files for partition C with Windows bcdboot command. It is a very easy to use command that you just need to specify for which operation system you want to create the boot files. X is the target partition's drive letter. 2. Set partition C as an active partition. Windows only tries to find bootmgr file from an active partition on a MBR based hard drive, so the second step is to set partition C as active with Diskpart command. Below is a guide picture with just 4 minor steps. Please double check if the correct partition has been selected before running Active command at last. 3. Modify boot order in BIOS/UEFI to make sure Disk 1 is in the first location since next boot. Search in Google will give you a lot of tutorials how to do this for a particular motherboard. If you still have any questions to finish the steps, please feel free to contact EaseUS Support Team.